At Scranton Mixed Martial Arts we are very proud to offer the absolute best boxing program in the Scranton Area. We have been very lucky to team up with Chris Mills who now heads our boxing program. Chris and his team teach all of the boxing classes at Scranton Mixed Martial Arts. You will not find a more accomplished boxing instructor teaching locally. 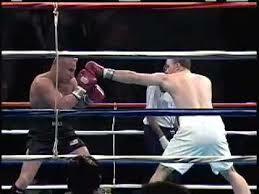 Chris Mills had a professional boxing record of 26 wins and only 3 losses. Also 22 of his wins came by way of knock out! Not only did Chris have a great professional record he is also a two time World Boxing Federation Title holder in two different weight classes. Again just something else that helps Chris stand apart from the local boxing crowd. Since retiring from professional boxing Chris has become a dedicated coach and trainer. He has helped beginner students, amateur boxers and professional boxers as well. So now at Scranton Mixed Martial arts not only do we have the best coach in the area we also have the best group of boxing students. We have professional boxers, Professional Mixed martial art fighters, amateur boxers and absolute beginners who are just getting started learning the art of boxing. This makes it a great environment for anyone of any skill level to start boxing. Regardless of what your goals are when it comes to training boxing at scranton mma the team that surrounds you will help you reach your goals. 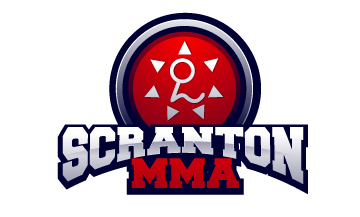 The best way to make sure you are successful in any endeavor is to surround yourself with very talented people and again at Scranton MMA you will be taught by the best and you will be training with the best. We are so confident in our boxing program that right now we are offering a FREE private lesson, Free boxing gloves, 30 days of free boxing lessons and a 60 day money back guarantee. To take advantage of this great offer just give us a call or simply enter your information below then click ‘Next Step’ and we can help get you started risk free.